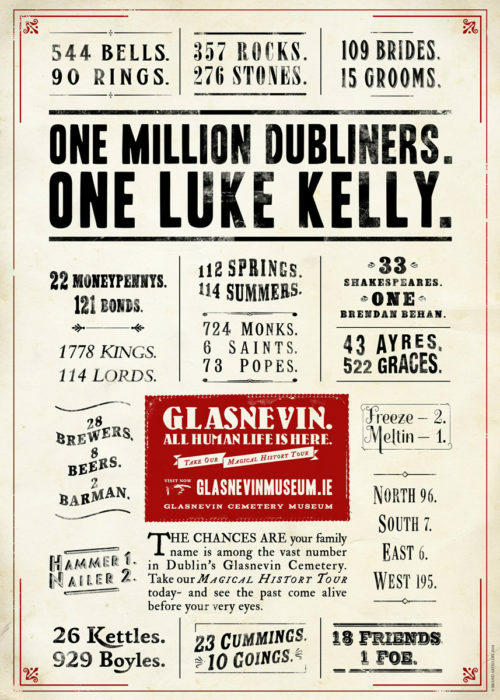 Brendan Behan, celebrated here in the official poster created by Brand Artillery for Glasnevin Cemetery, was Dublin through and through. 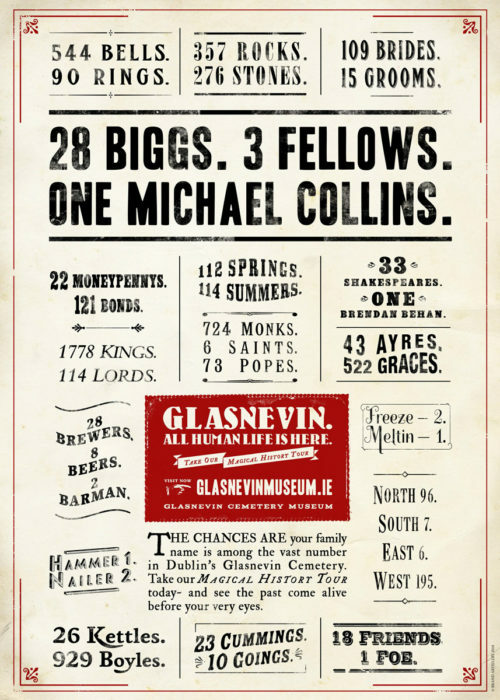 I already have the Michael Collins poster. Everyone who sees it loves it. This one is next on my list. 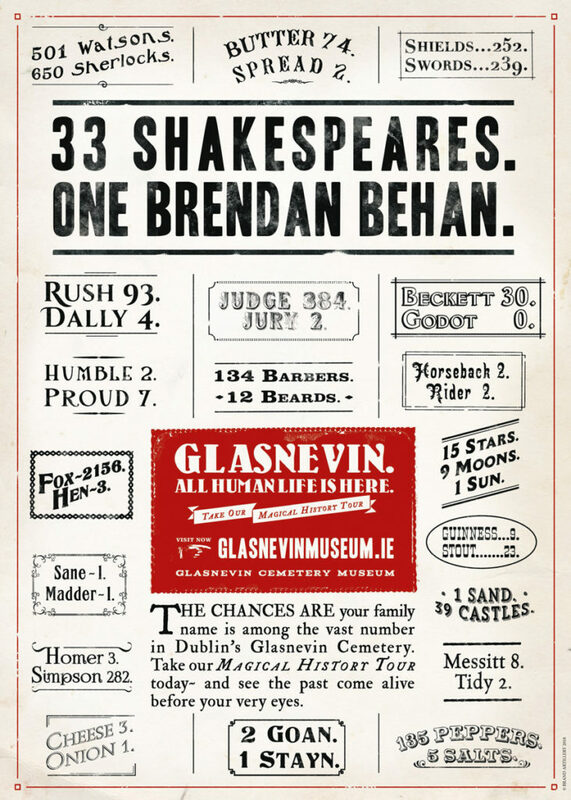 The ref to many Shakespeares but only one Brendan Behan is particularly Dublin. I love the humour in all of them, wry, gentle and affectionate. Very proud to have these. 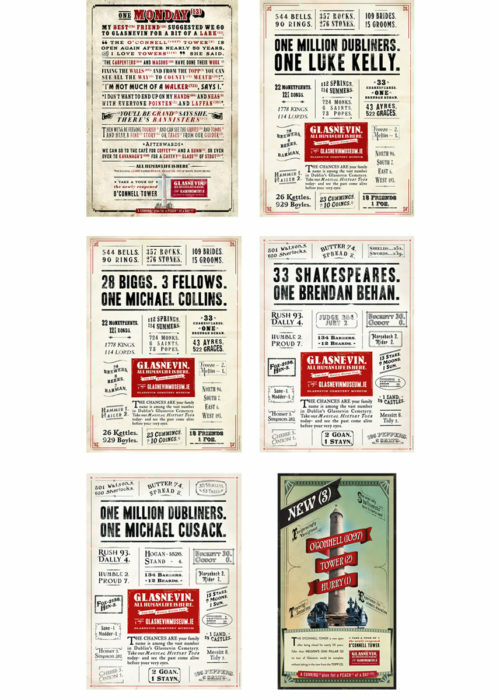 These are truly lovely posters – not just the witty and touching subject matter, but also the gorgeous choice of paper. Can’t wait to have them framed and hung.